The National Election Committee has set three weeks for the 20 political parties registered for contesting in the election to conduct their campaigns which will end on July 27, two days before the polling day on July 29. 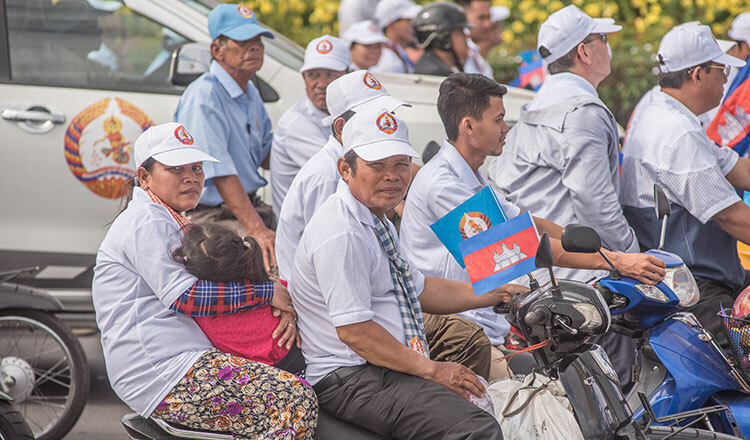 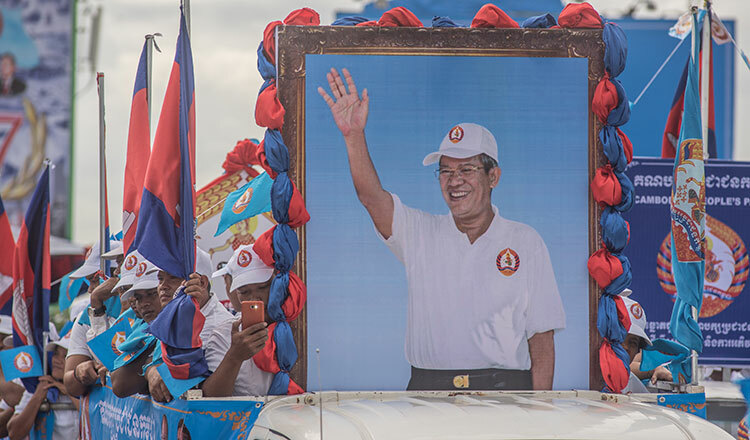 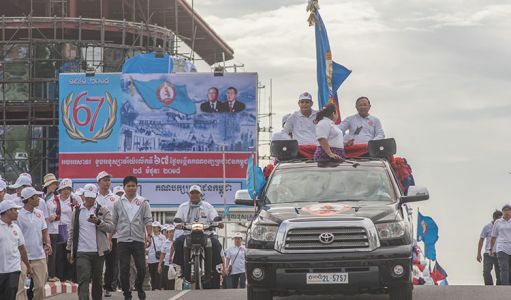 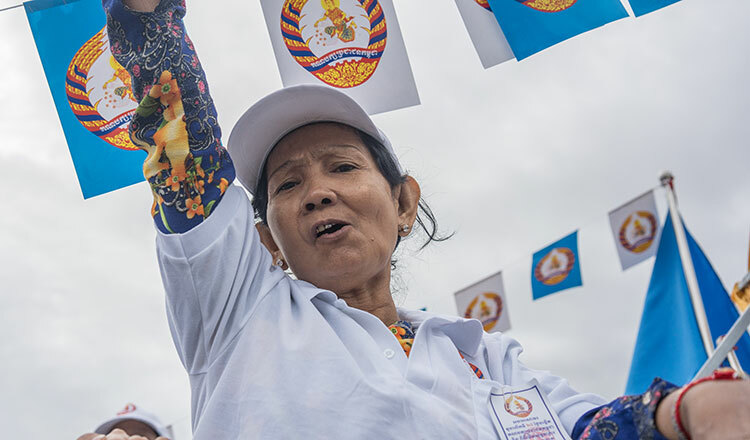 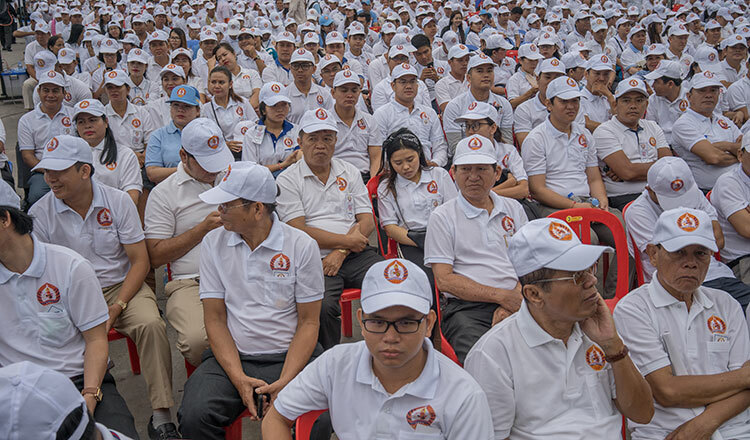 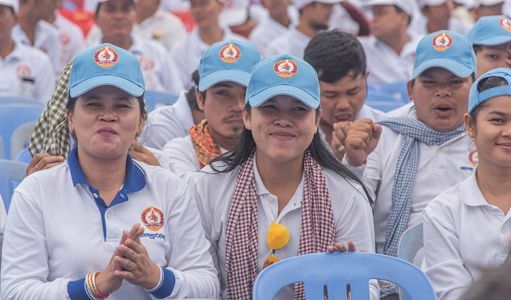 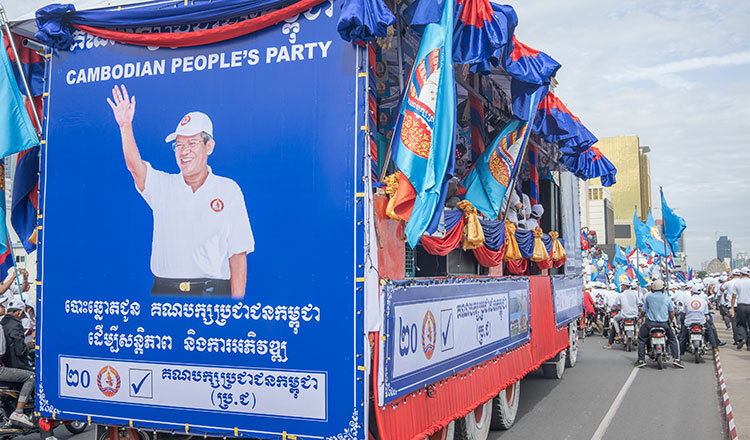 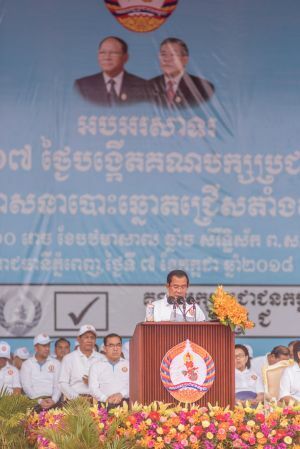 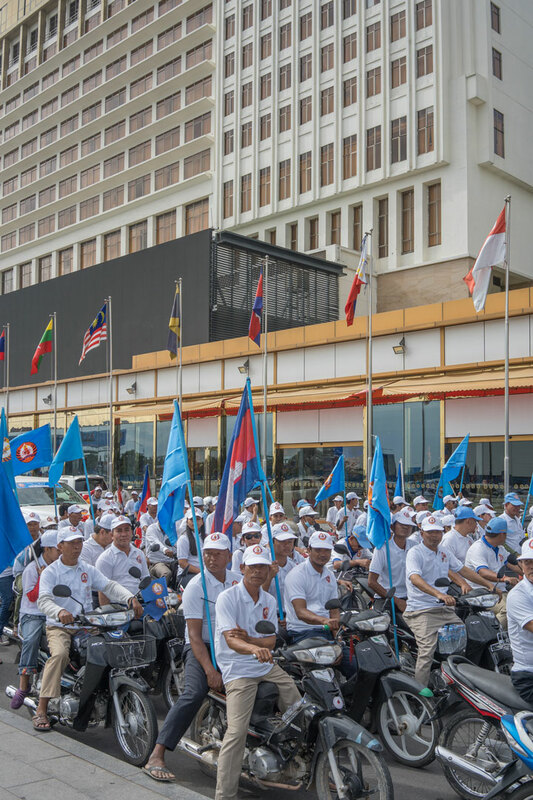 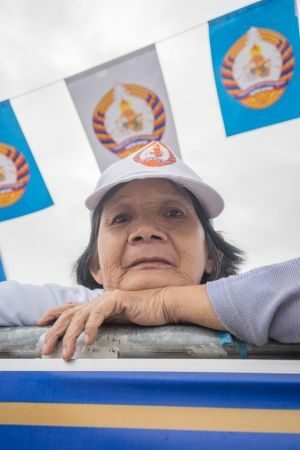 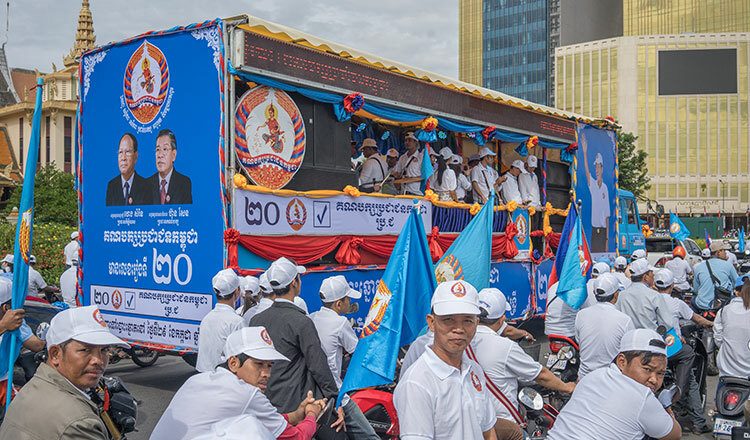 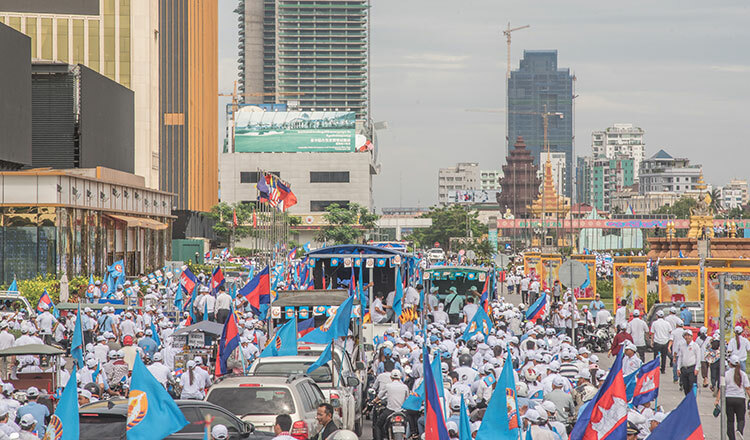 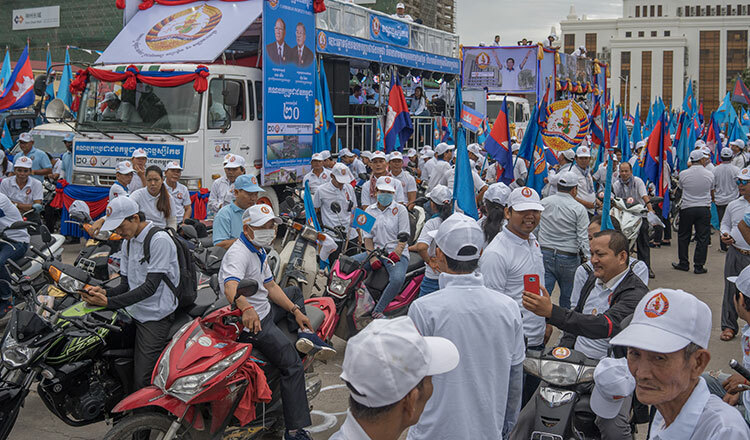 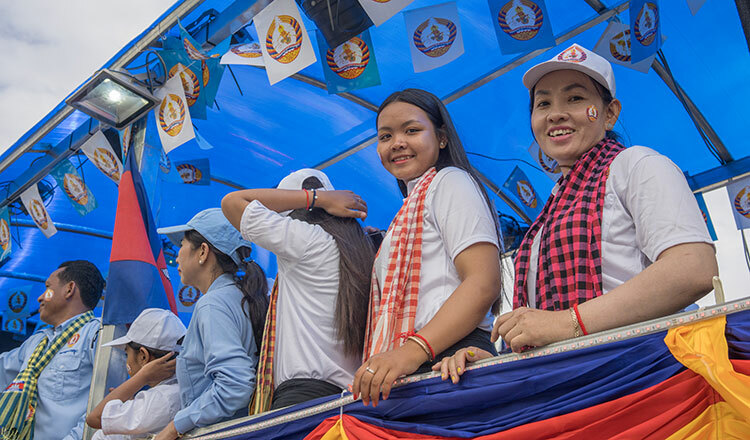 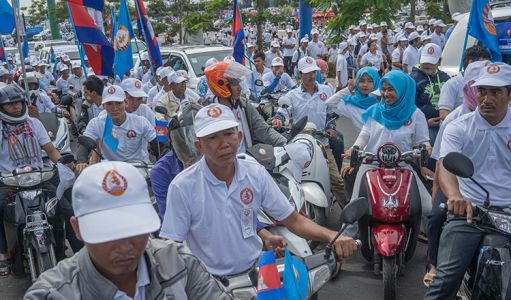 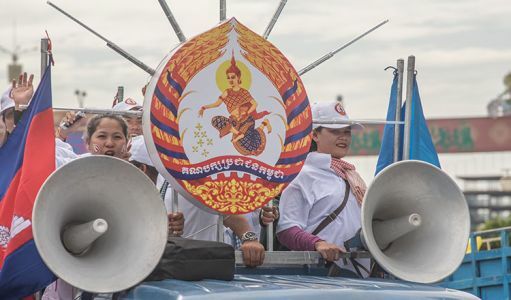 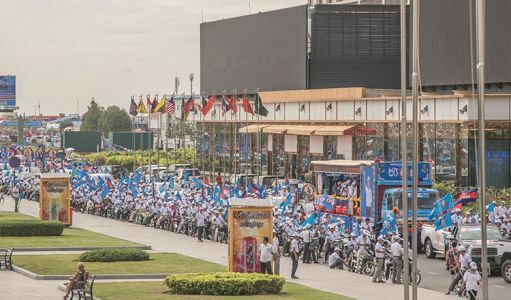 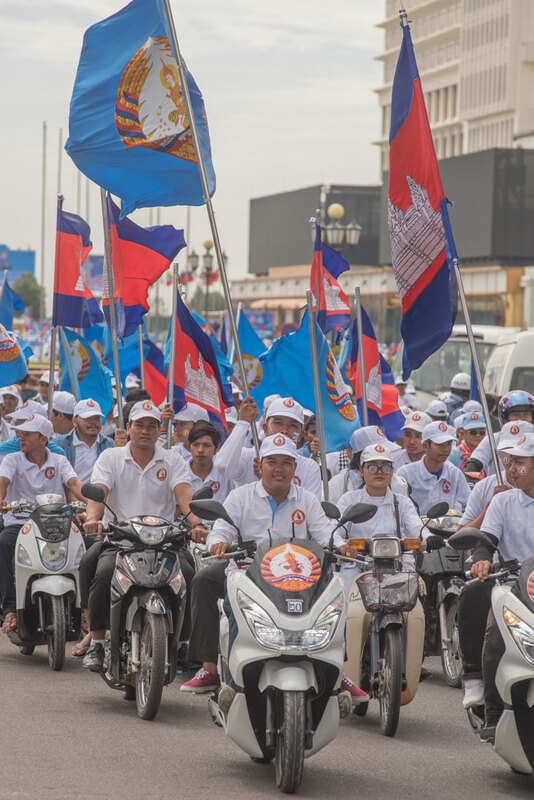 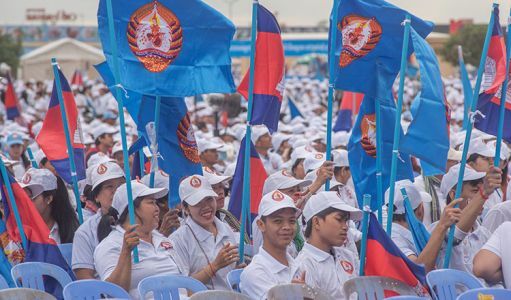 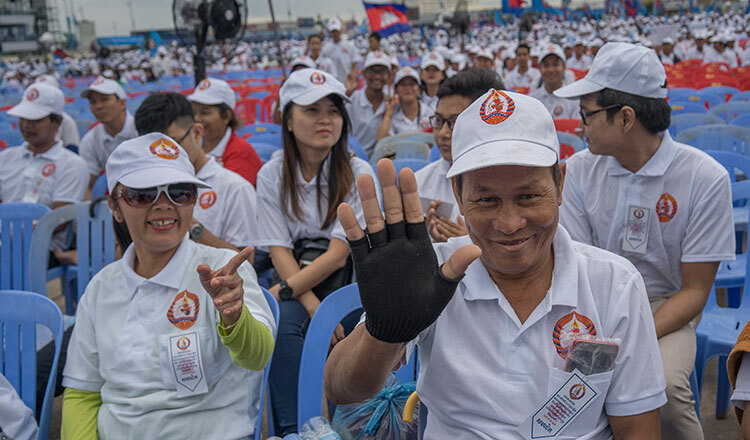 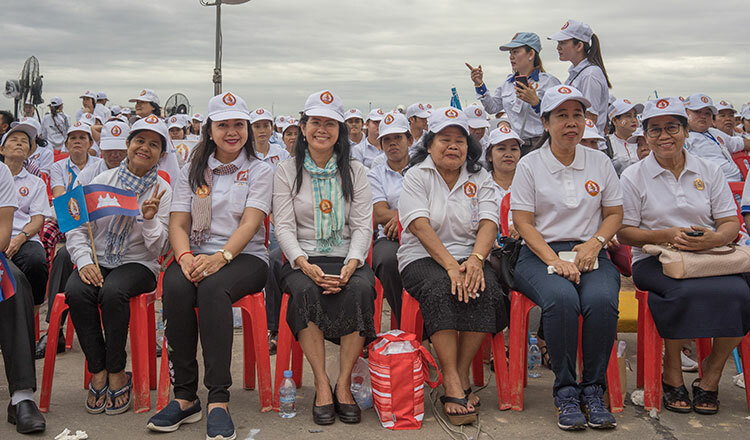 At the first day of the campaign, the CPP organised a huge rally with Prime Minister Hun Sen, who is also chairman of the ruling party delivering his speech to some 60,000 supporters at Phnom Penh’s Koh Pich. 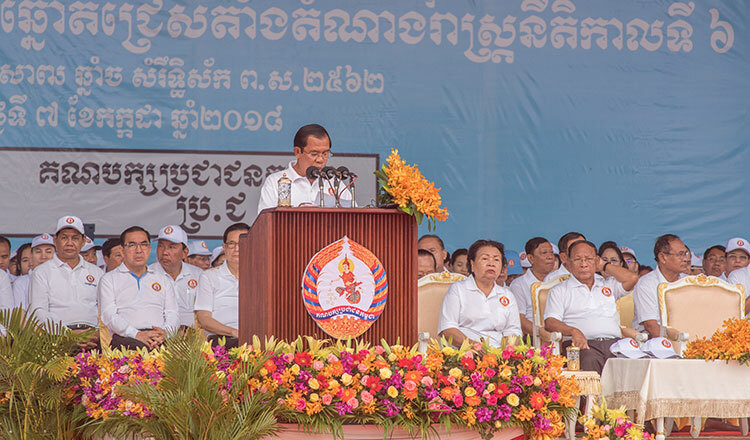 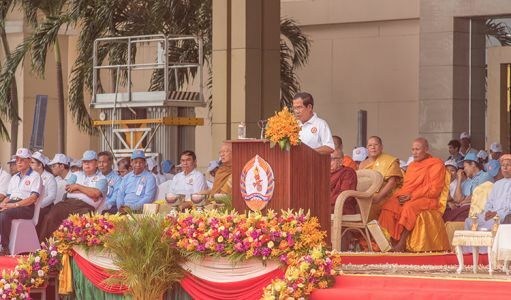 Speaking to his cheerful supporters, Mr Hun Sen said that his CPP has achieved too much such development of infrastructure, economic growth, and peace prevailing across the country. 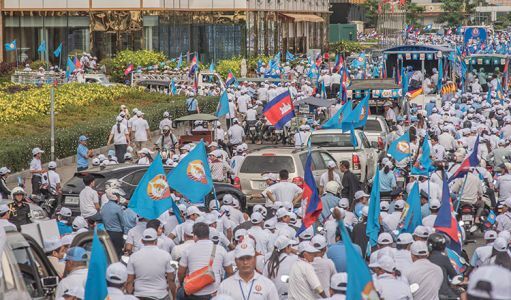 He said that the government succeeded in preventing the colour revolution led by the dissolved former opposition CNRP backed by foreigners. 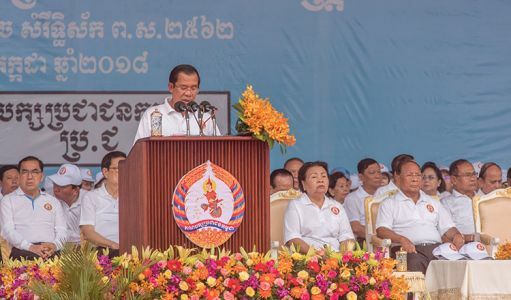 “The CPP-led government has worked hard to bring Cambodia out of war and ensure peace, safety, and social justice which are vital for social and economic development,” he said. 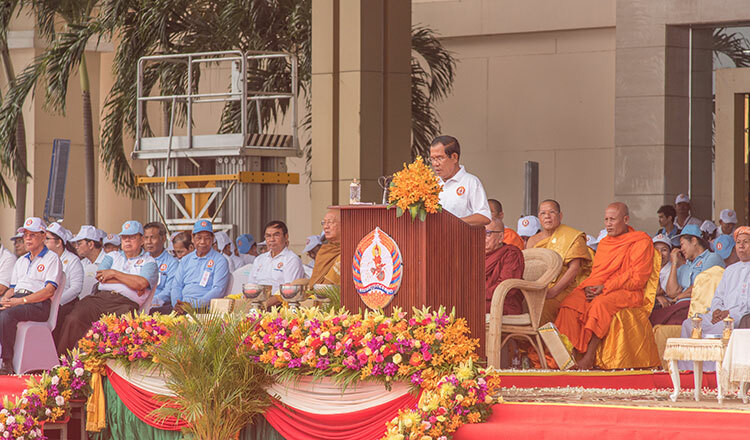 With peace, foreign investments have increased year by year, jobs have been created and local products were exported, Mr Hun Sen said. 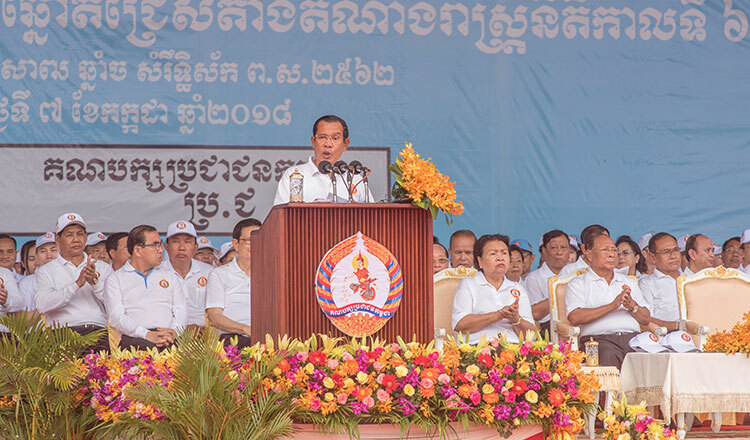 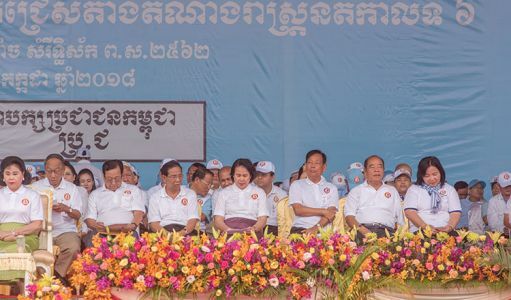 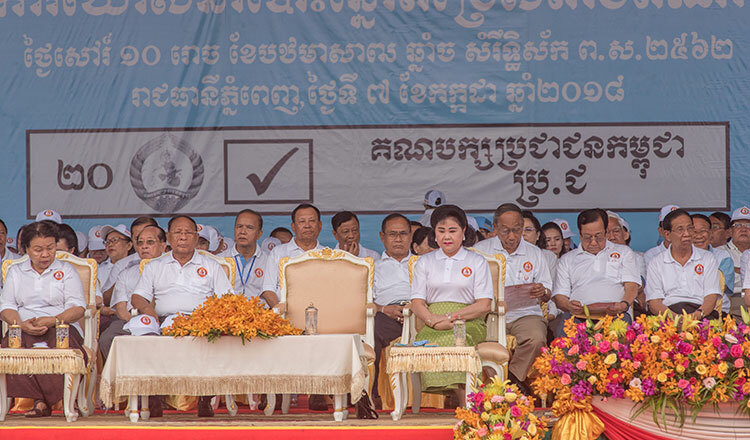 “Under the CPP leadership, the country is moving forward and on the right direction, ad more importantly, Cambodian people could take advantages toward victory,” he said. 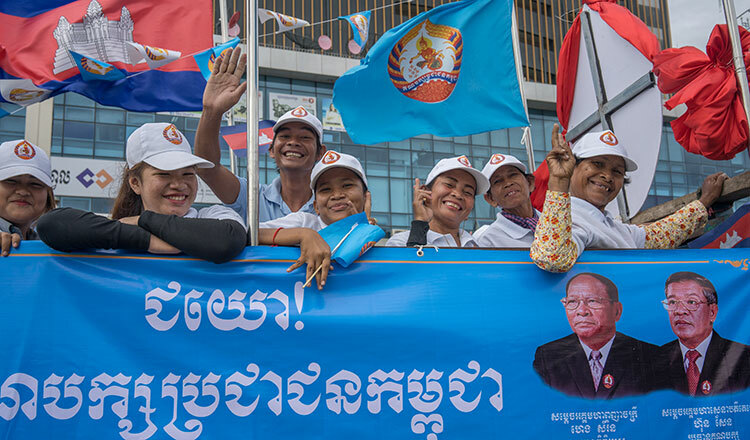 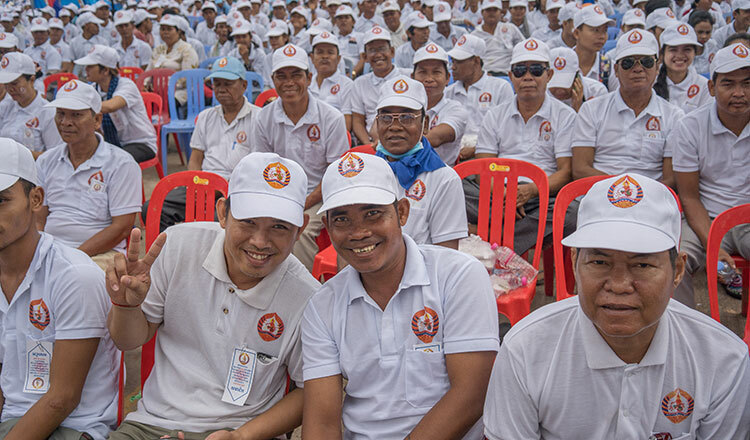 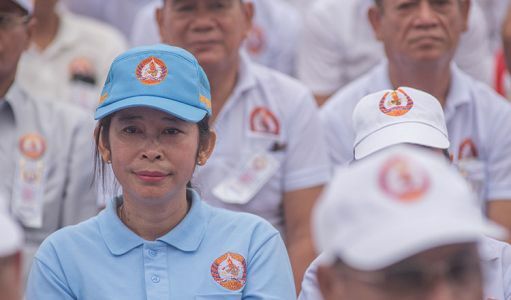 Mr Hun Sen said that his party will adopt a new policy by paying salary twice a month to garment workers, civil servants, police and soldiers, including retired officials. 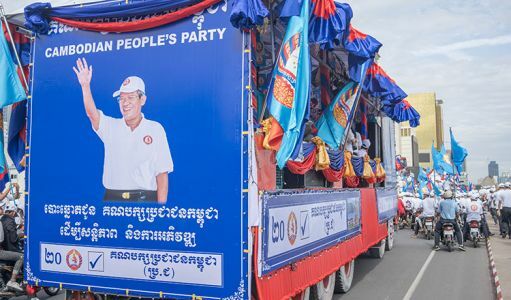 The CPP is expected to win the July 29 election as other smaller parties are struggling to gain votes. 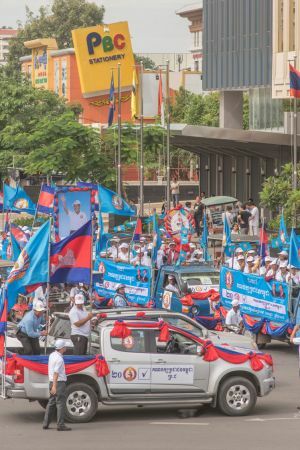 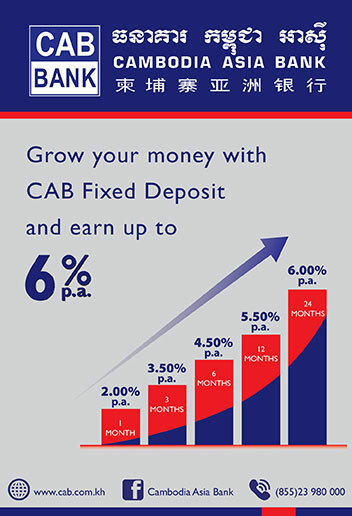 No main opposition party is challenging the CPP as the former opposition CNRP was dissolved in November. 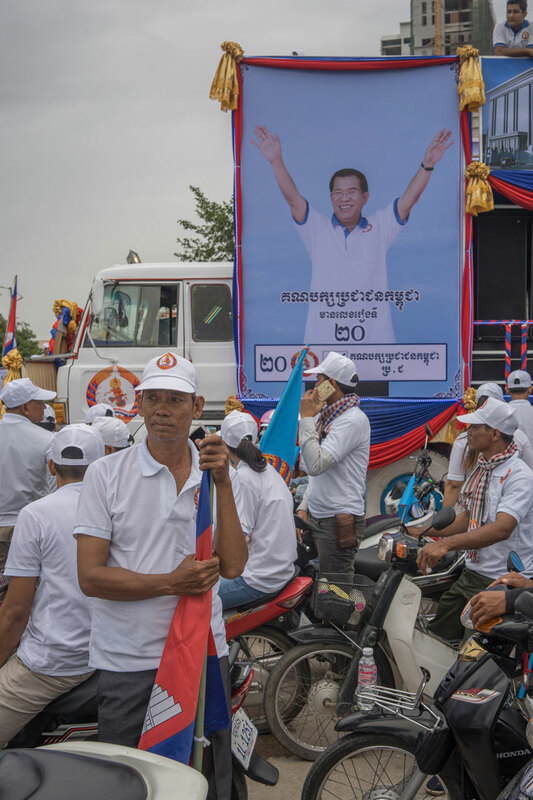 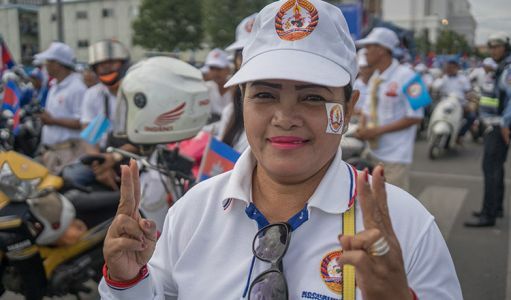 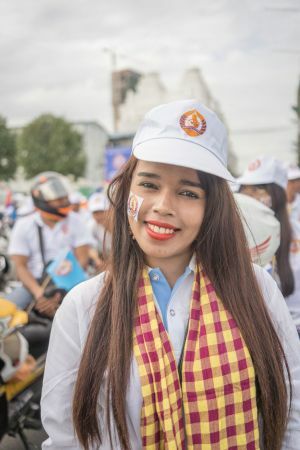 Sen Rany, 24, a CPP supporter in Kampong Cham province, is one of the more than 8,000 supporters participating in the rally. 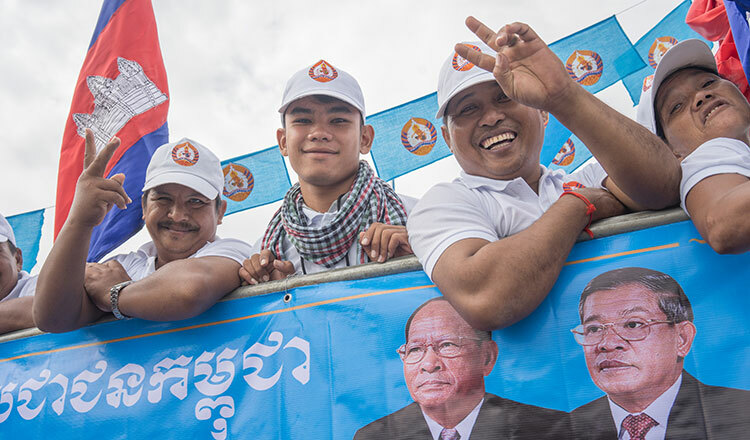 In Svay Rieng province, Tes Chanpenhvong, a CPP youth, said that he was happy to join the CPP rally. 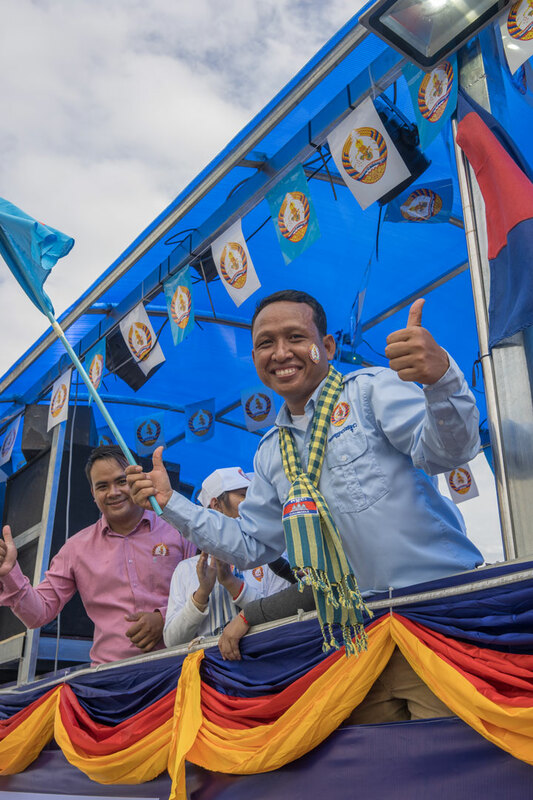 “I am so happy that I can join the CPP to develop the country as well as my province. 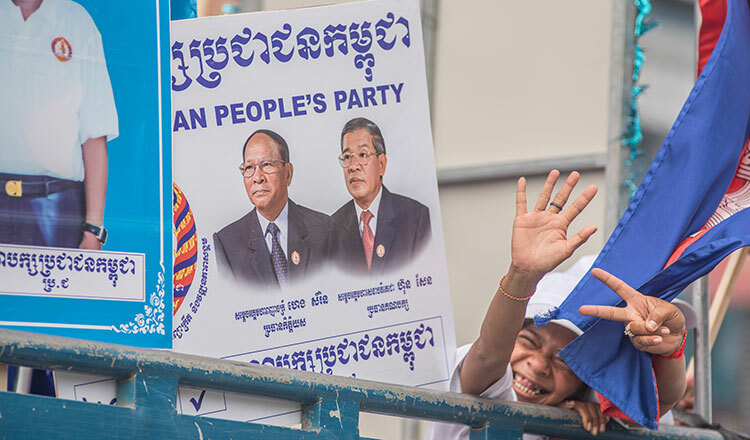 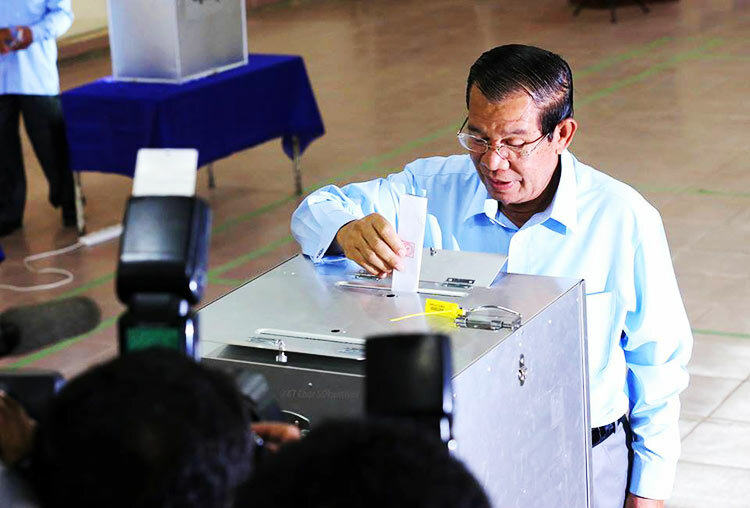 Voting for CPP means voting for ourselves and Cambodian people,” Chanpenhvong said. 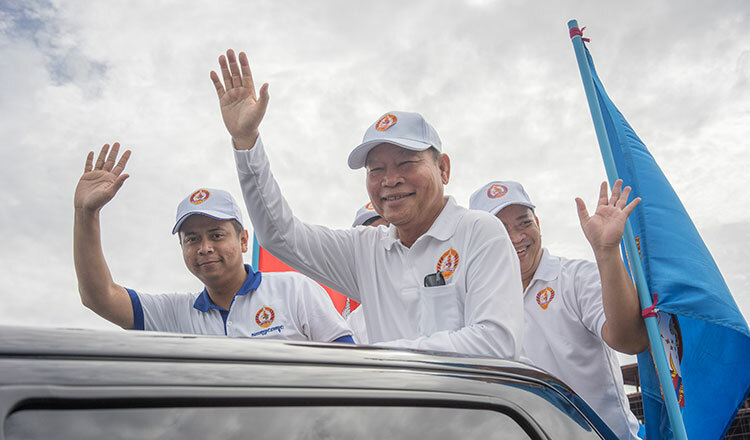 Yang Saing Koma, deputy president of the Grassroots Democratic Party and candidate for prime minister, said that his party will do what it promises if elected. 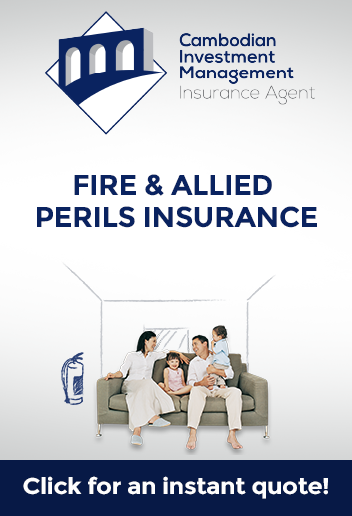 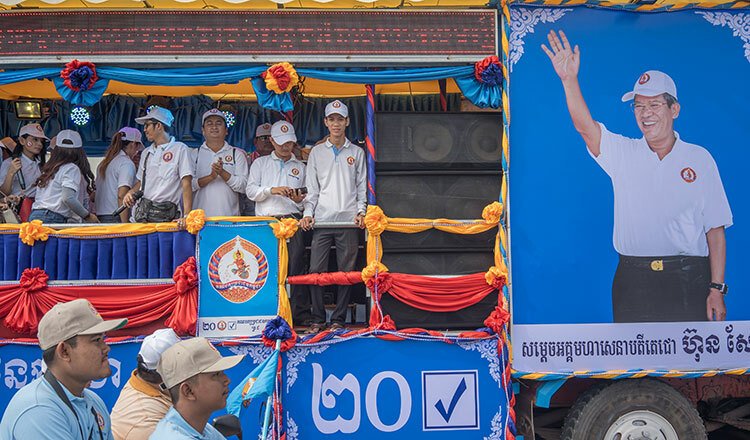 “We do politics with clear policies. 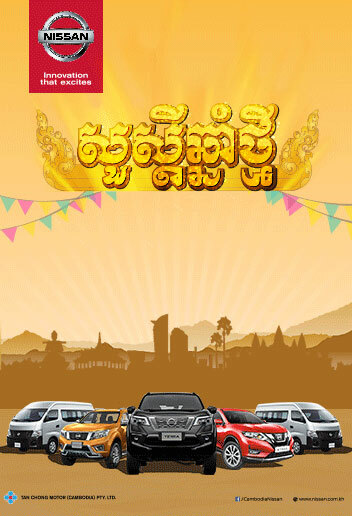 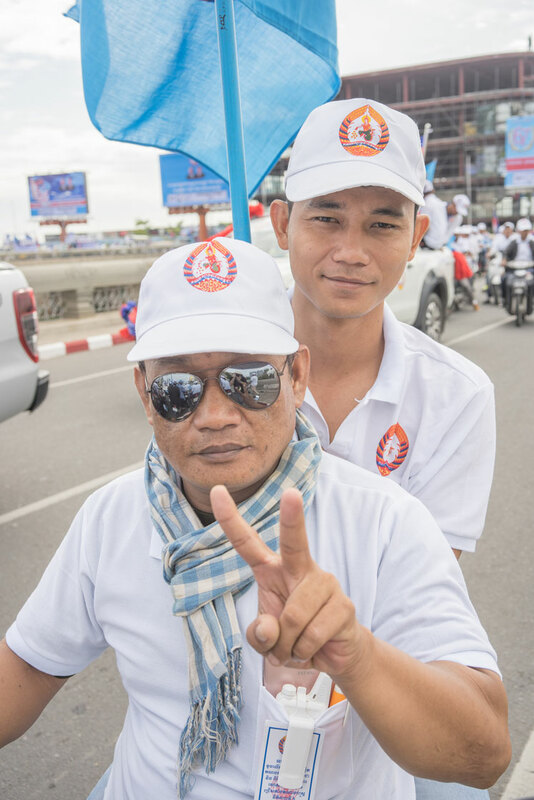 We come to Phnom Da temple in Takeo province to do the swearing. If elected, we will try our best to do what we promise,” Mr Saing Koma said. 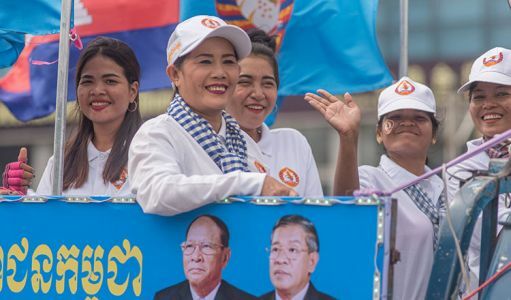 Seng Raingsey, a lawmaker candidate for Phnom Penh, said that although the GDP was newly formed, its leadership was mature. “We can say that our party is new, but our leaders are mature. To win or not is not a matter for the GDP, but what we expect is our policy is the best,” Raingsey said. 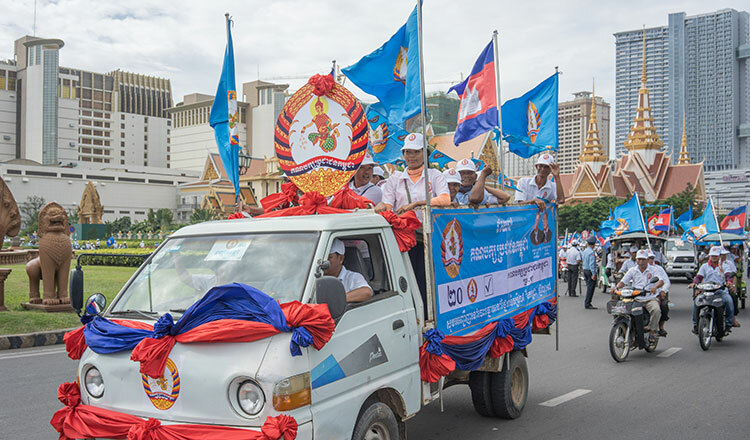 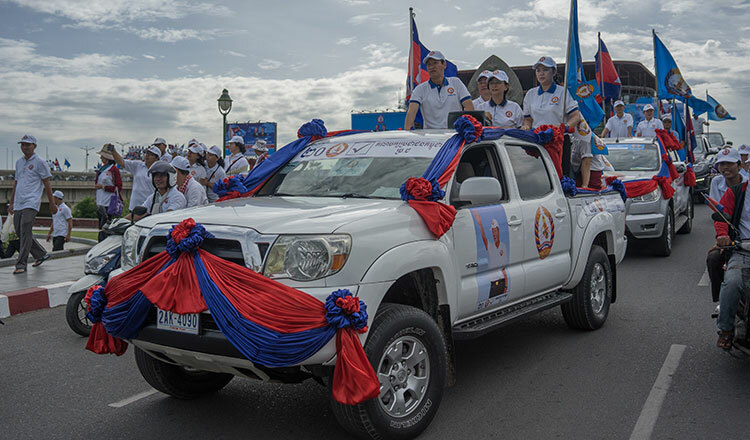 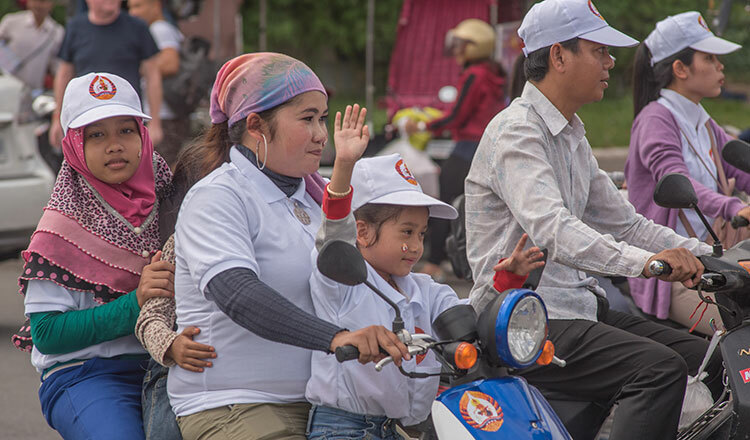 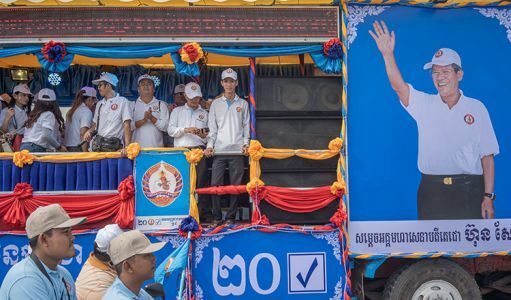 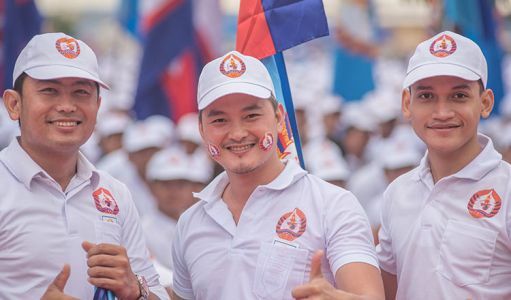 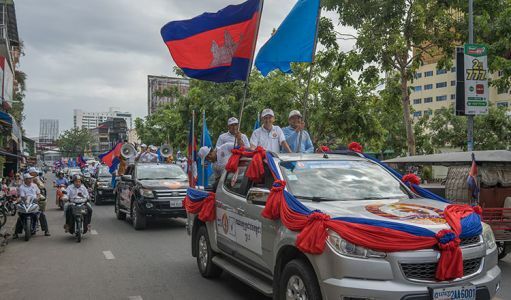 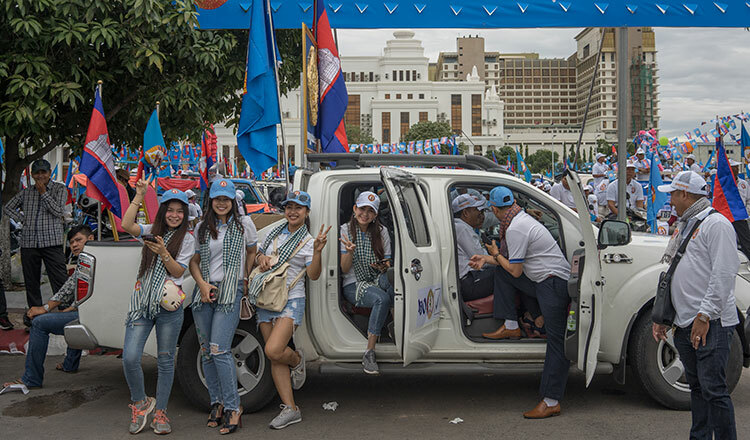 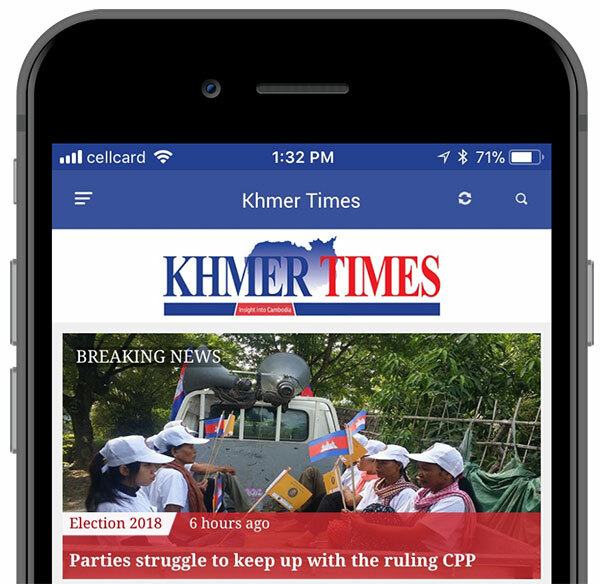 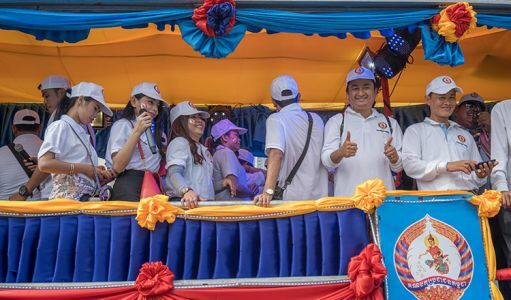 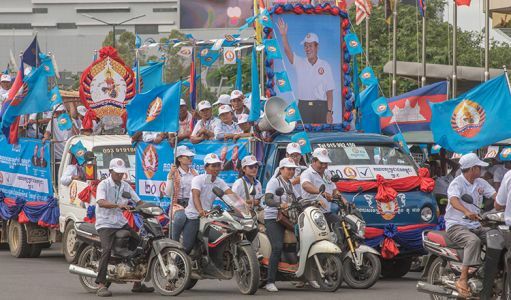 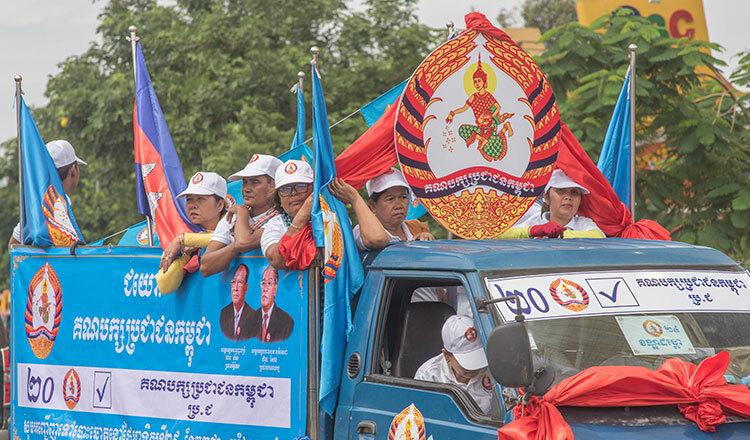 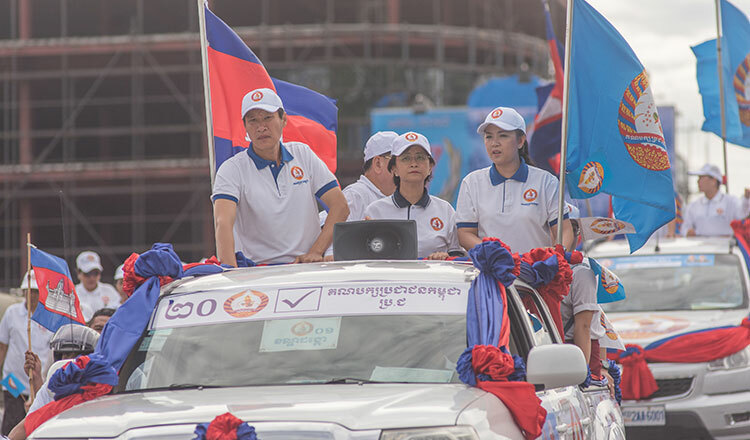 Khmer Will Party president Kong Monika, the youngest son of Kong Korm, former president of the Sam Rainsy Party, also conducted his campaign. 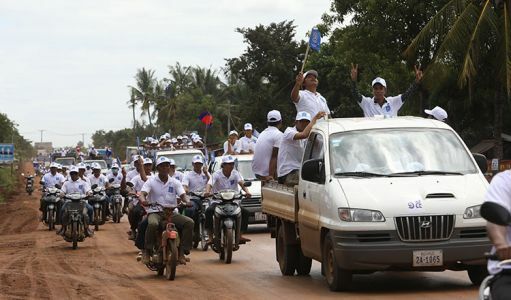 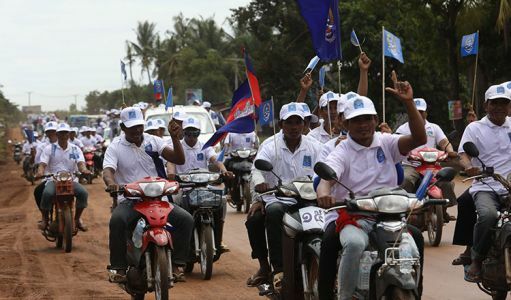 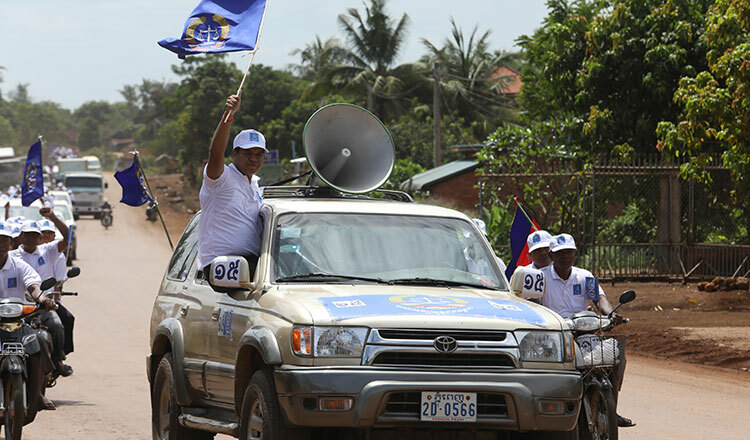 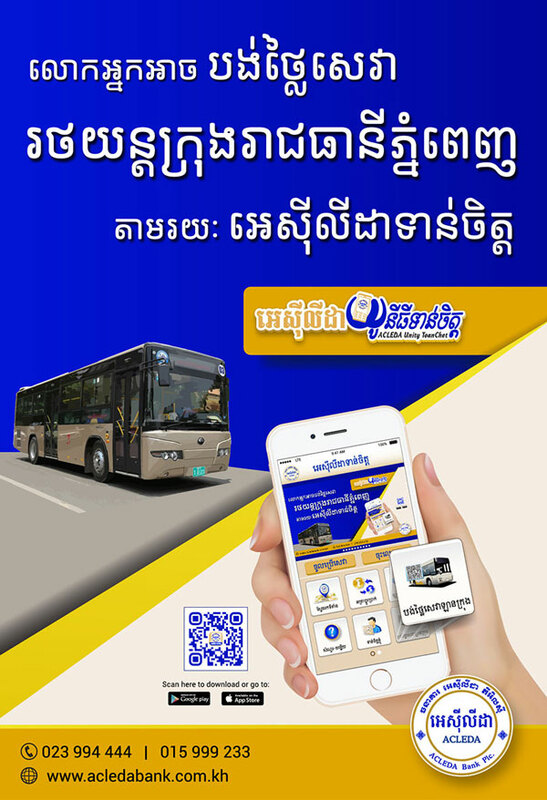 In his remake, Mr Monika said that the party will become a new choice for voters following the dissolution of the CNRP. 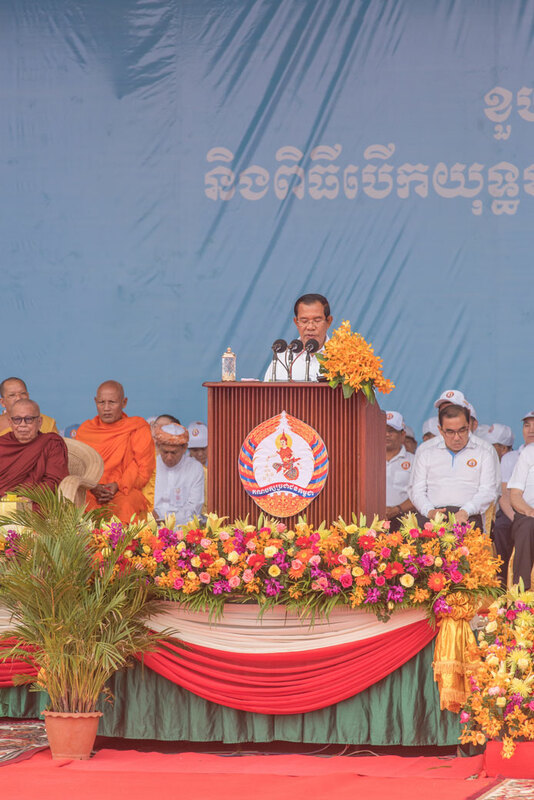 “Frankly speaking, democrats and those yearning for positive change in Cambodia will vote for us in the 2018 national election,” he said. 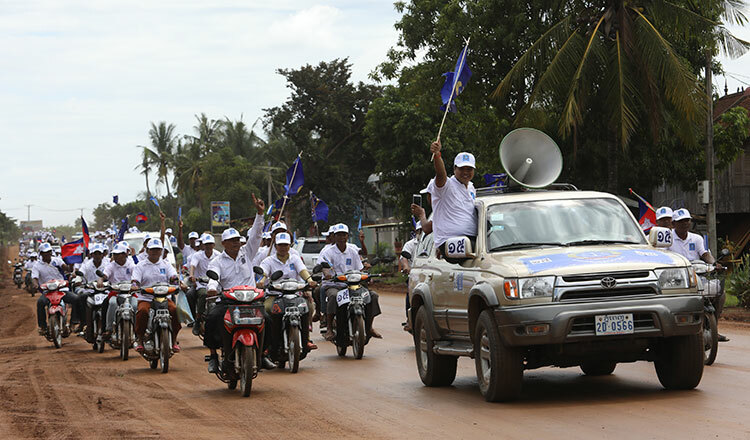 Mr Monika also appealed to all former opposition CNRP members and supporters to vote for his party on July 29. 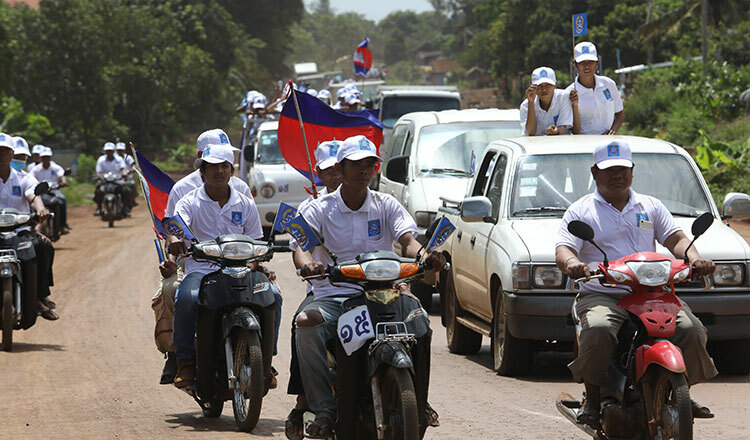 In Prey Veng province, Sok Lynika, a supporter for Khmer Will Party, said that KWP focused on the right of garment workers’ and youths. 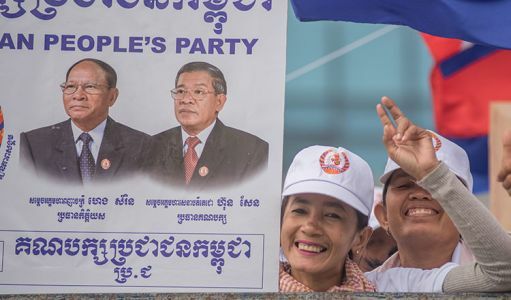 “This party’s platform is good. 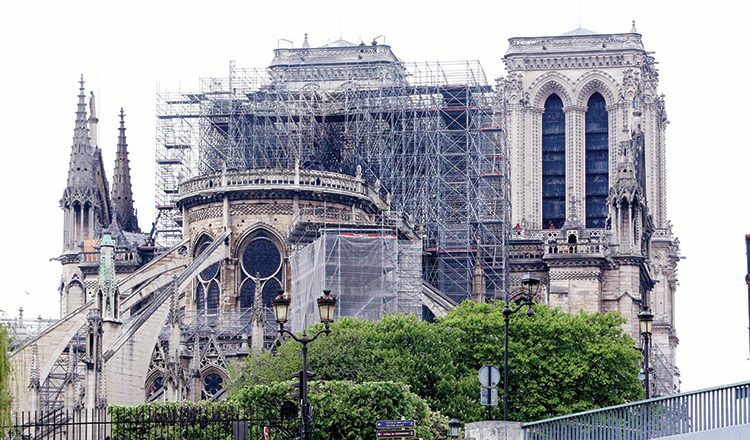 It focuses on social issue, raises salary for garment workers, public and private employees,” she said. 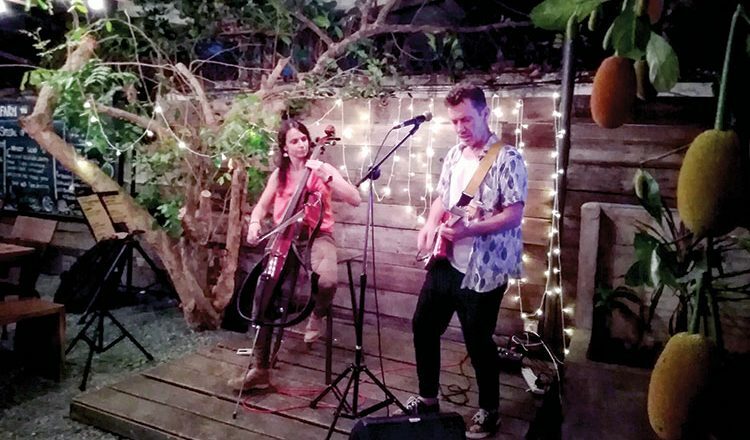 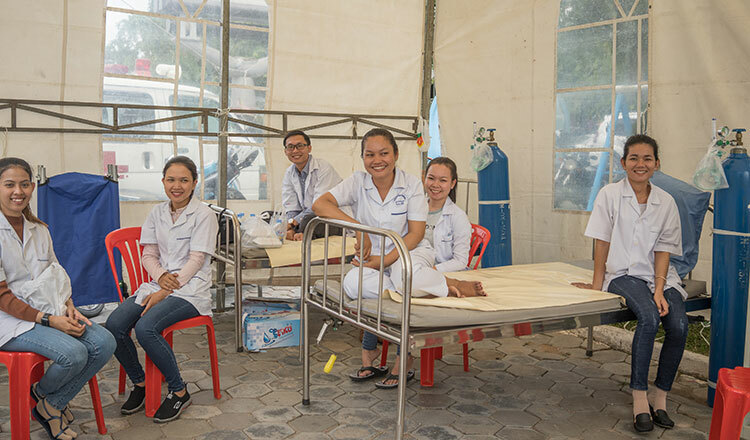 “It also highly values young people because in Cambodia’s society, youths are brave so they need opportunities to express themselves more,” Ms Lynika said. 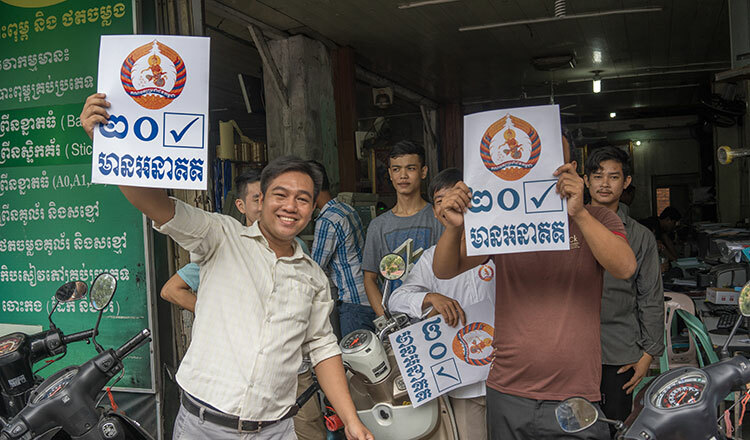 In Kampong Cham province, Cambodian Youth Party president Pech Sros said on Saturday that he will submit a complaint to provincial election committee related to local authorities who discriminated against his party. Mr Sros’s rally attracted about 1,000 members and supporters. 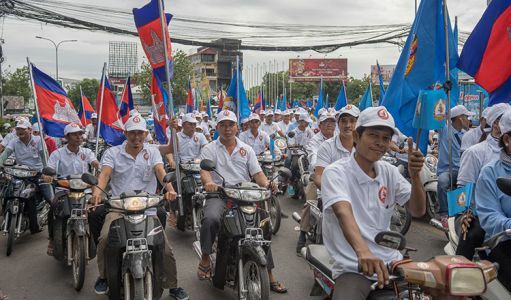 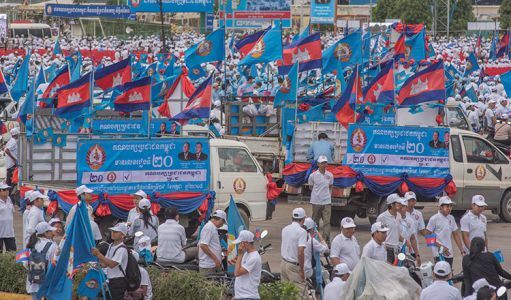 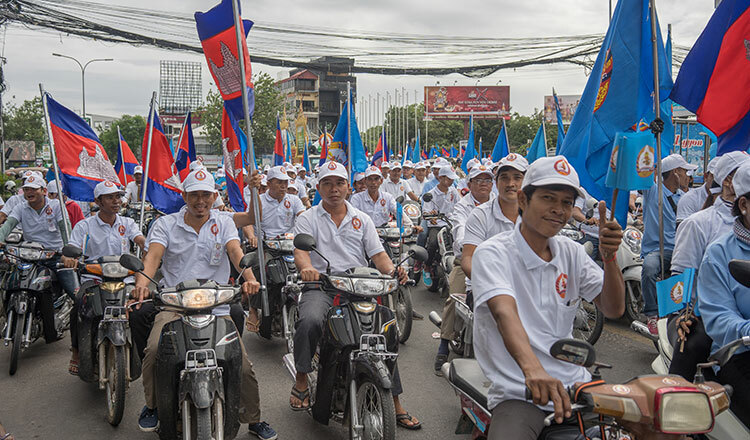 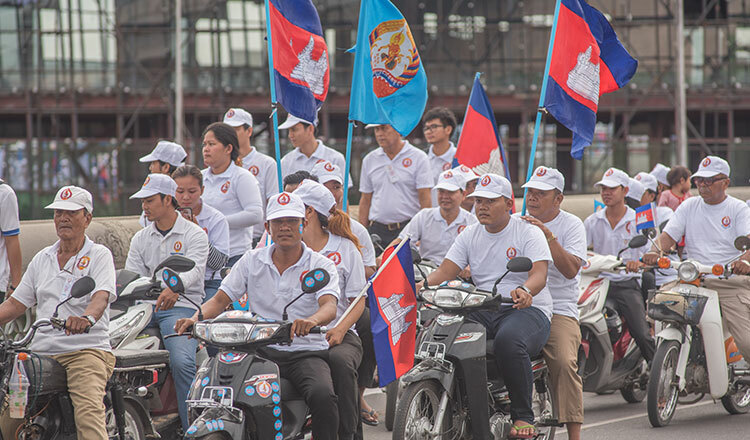 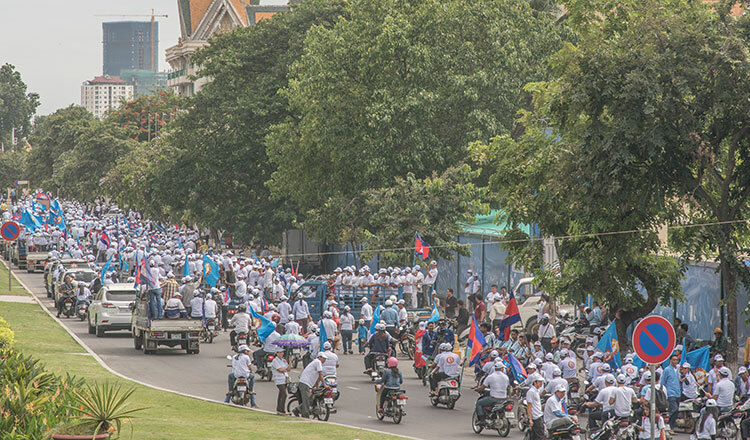 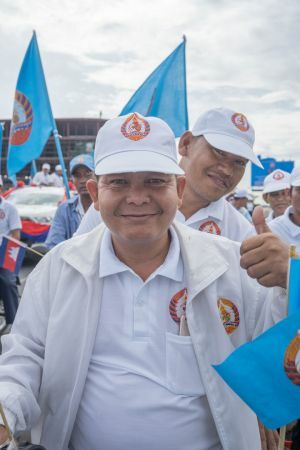 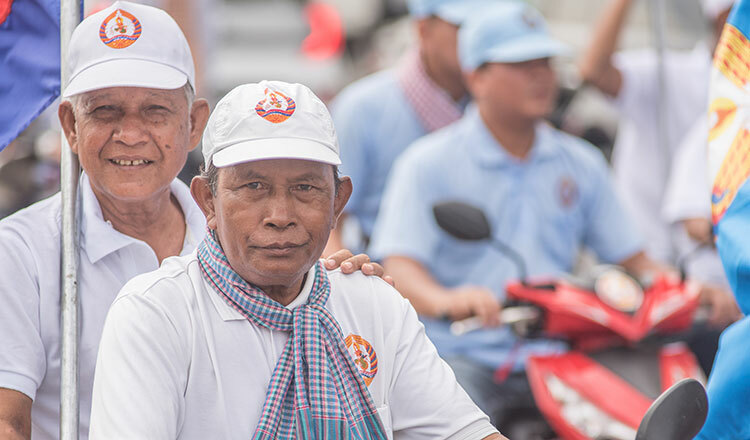 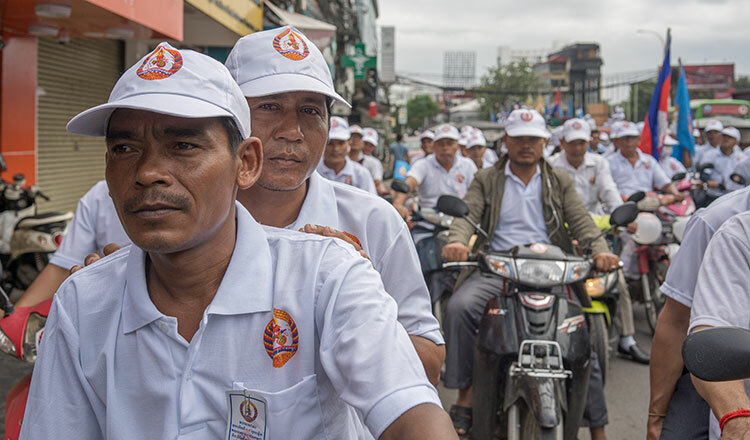 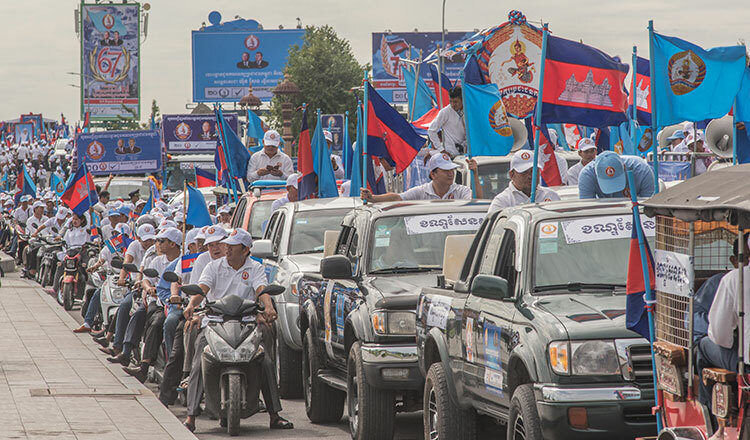 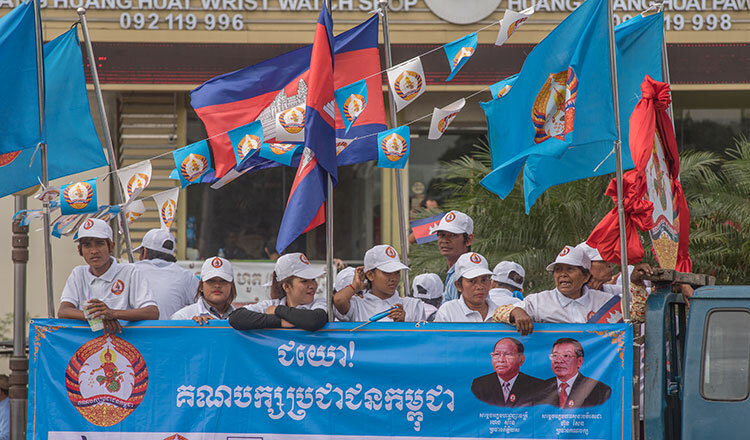 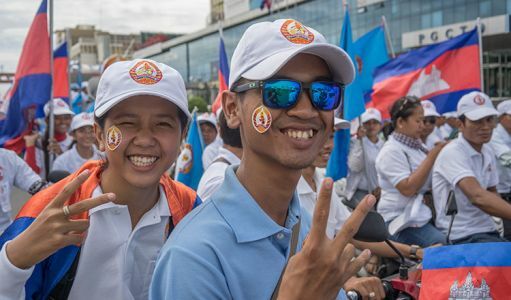 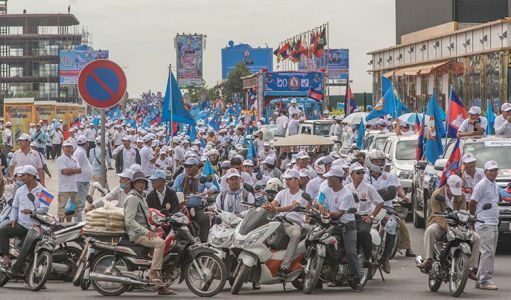 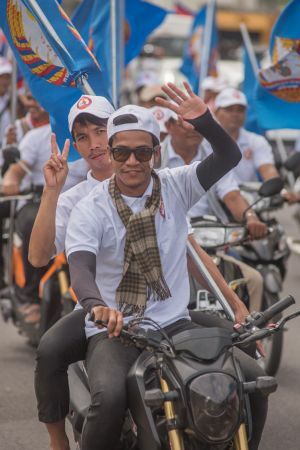 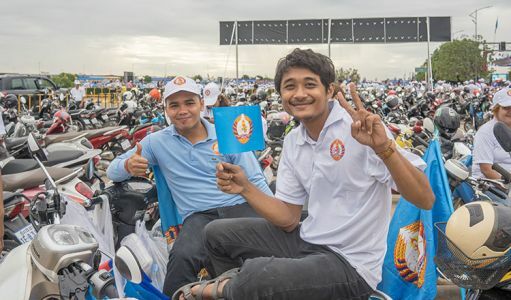 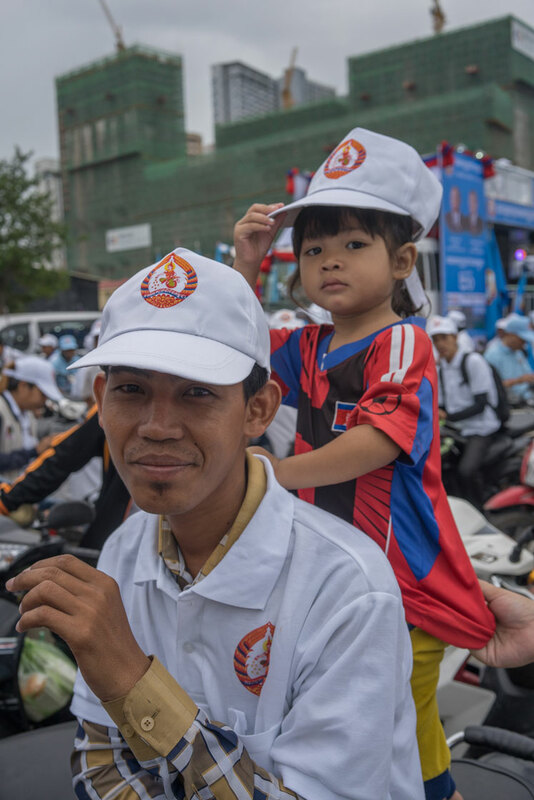 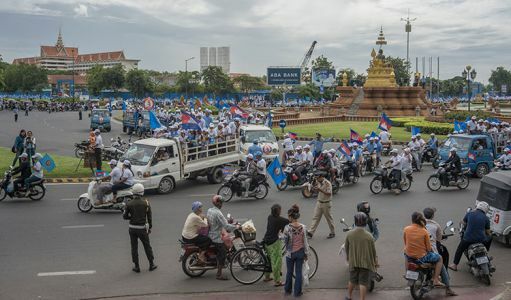 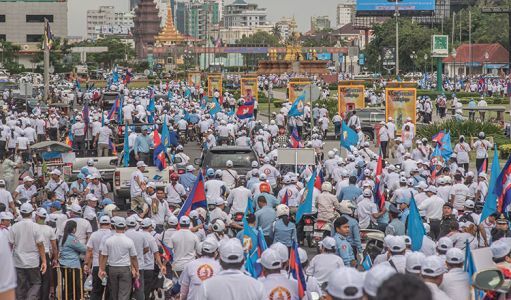 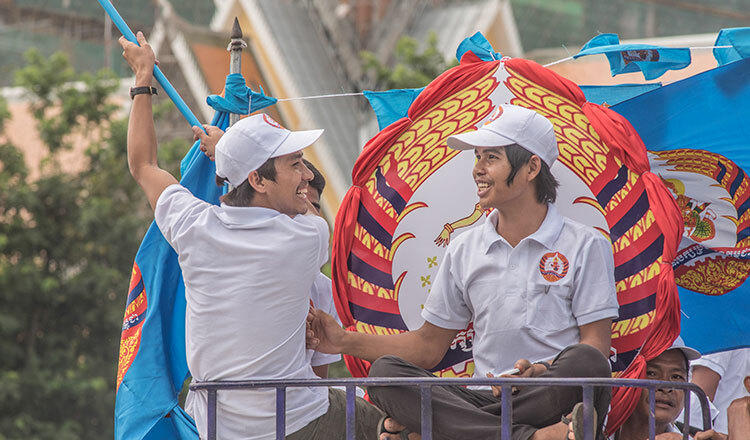 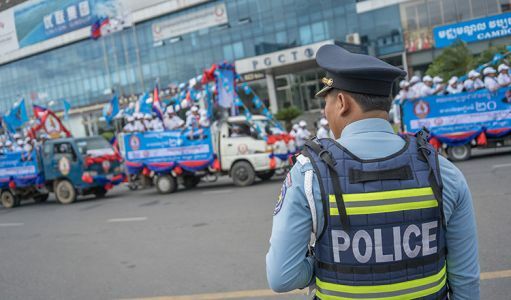 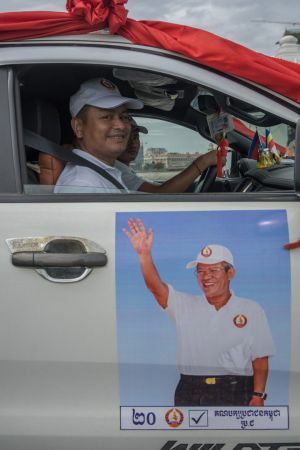 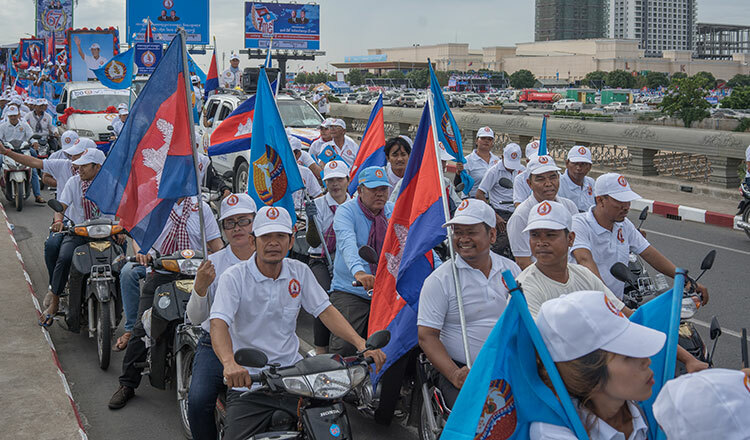 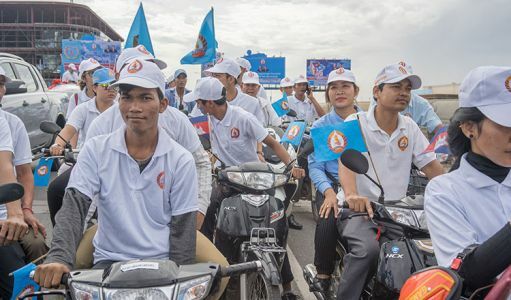 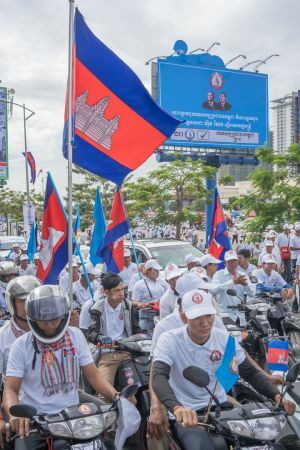 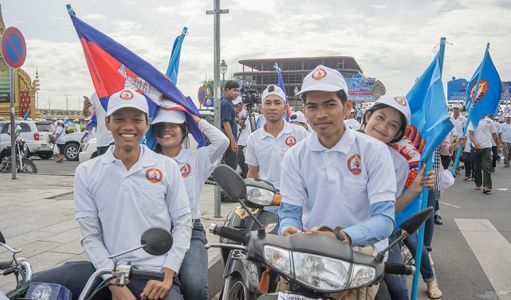 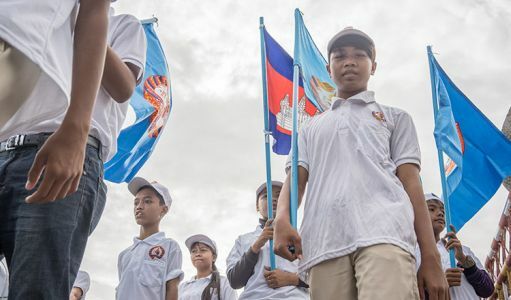 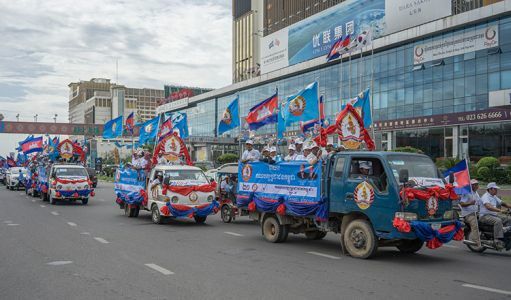 “When Cambodian Youth Party is marching, no police officers accompany us at the front and at the back because someone who is not satisfied with our party could hit us,” he said. 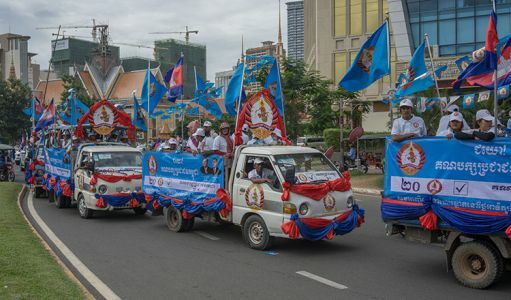 Back in Phnom Penh, Funcinpec party led about 1,000 members and supporters and vowed to strengthen judicial system, solve land disputes and social injustice if elected. 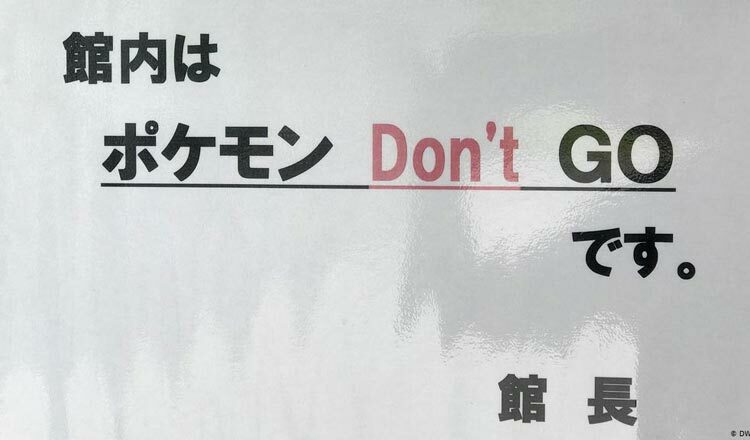 The rally was led by its vice president You Hokry. 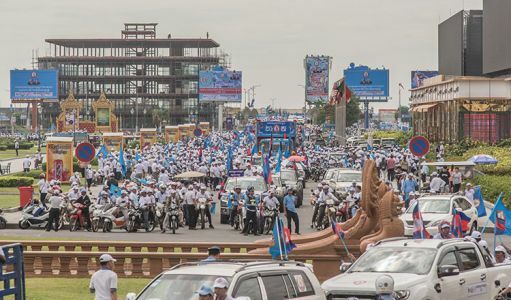 “It does not matter that there is no presence of Prince Norodom Ranariddh because everyone understands that he is receiving a medical treatment. I strongly believe that supporters will remain loyal to our party and vote for us. 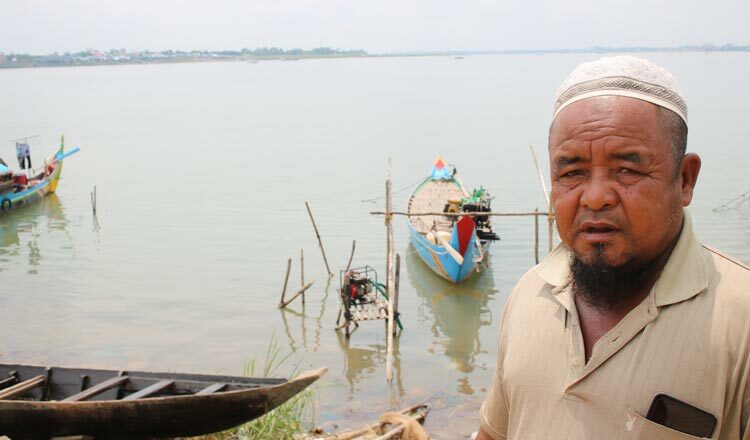 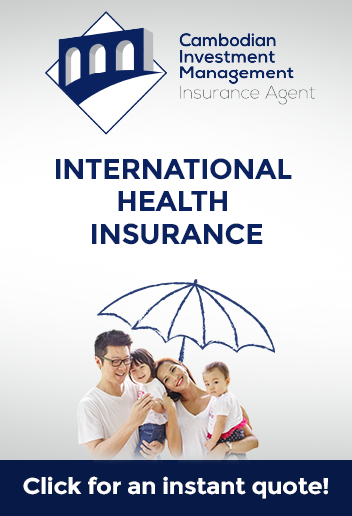 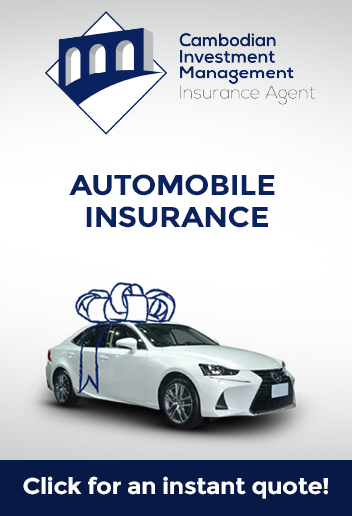 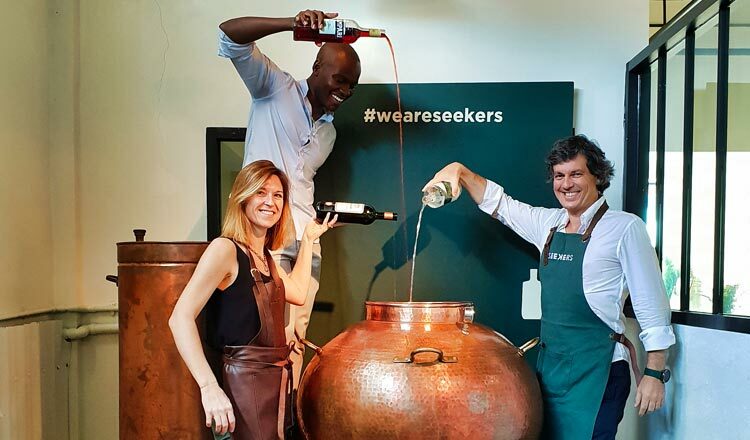 We have a clear policy and it’s all for our country,” Mr Hokry said. 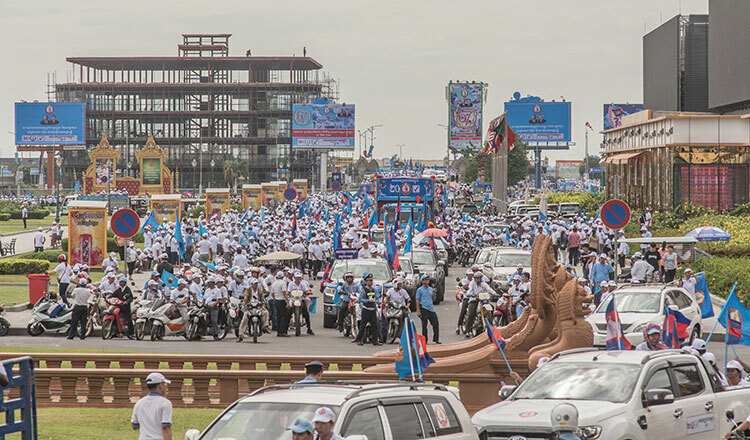 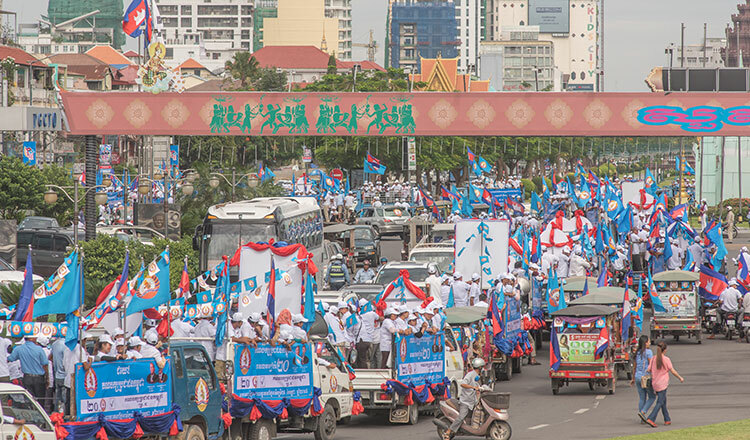 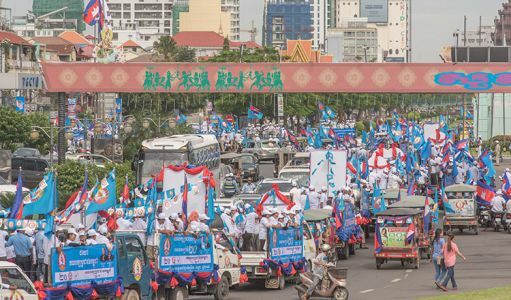 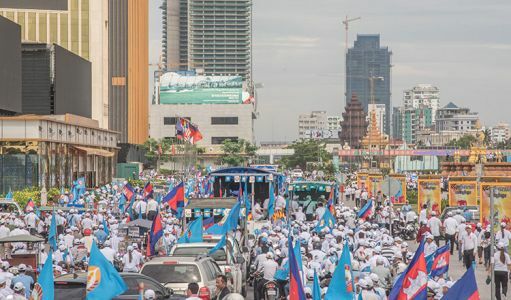 About 15,000 supporters of the League for Democracy Party led by party president Khem Veasna was the second largest rally besides the CPP. 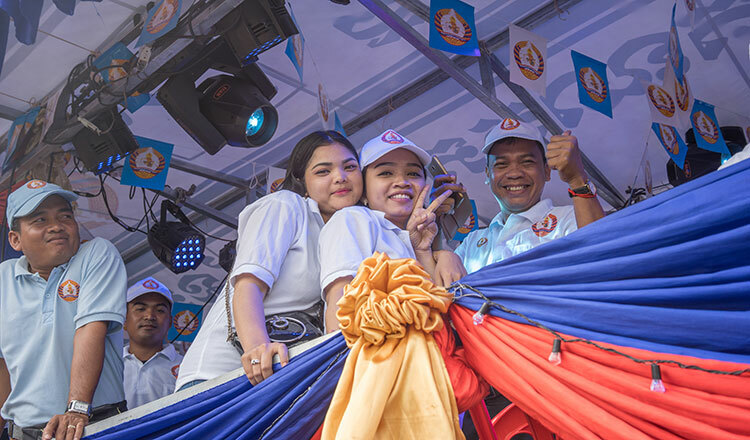 Most of its supporters were encouraged to go live on Facebook and said what they felt about the party. It was one of the measures the party thought its supporters and members could speak their minds about the party. Mr Veasna touted his party’s platform and attacked the government’s policy.